Paying you instantly We give you instant credit for any bill youâ&#x20AC;&#x2122;re owed. You can use that credit to pay any foreign agentâ&#x20AC;&#x2122;s bill, thus freeing up your cash. Cutting bank fees We have bank accounts around the world, so we pay locally, without bank fees for you or your agents. Reducing staff costs We automate the process of paying your foreign agents, reducing the need for low-level data entry staff. Lower staff costs mean higher firm profits. Get in touch with us at sales@billtrader.com to schedule an obligation-free demo of our innovative platform today. Ben Wodecki explores what makes America great. Again. Copyright ÂŠ 1999 - 2018 By 101domain GRS Limited. Trademarks • Latest News Public is misinformed about IP, CIPU report finds By and large, the public is “misinformed” or, at best underinformed, about intellectual property, according to a report from the Center for IP Understanding (CIPU). 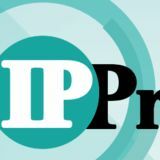 The report, which focuses on IP awareness and attitudes conducted over the past decade in the US, Europe and Asia “reveals a growing disconnect between consumers IP awareness and behaviour”, CIPU said. This has resulted in higher levels of infringement and reduced use and value of IP. MLS opposes Inter Milan trademark A US trademark for the term Inter from Inter Milan has been opposed by Major League Soccer (MLS) over fears it would damage the name of David Beckham’s new American soccer team. Inter Milan had attempted to register the term Inter, but MLS opposed its application as the term is associated with various other football clubs around the globe. Examples shown by the league included Inter Leipzig from Germany’s fifth tier, NK Inter Zaprešić from Croatia’s Prva HNL (first tier), and S.C. Internacional from Brazil, who are commonly known as Inter. MLS argued that consumers don’t associate the term Inter with one team and the examining attorney stated that the Inter application was a potential bar to the registration of Beckham’s team due to a likelihood of confusion. Beckham’s expansion team Club Internacional de Fútbol Miami, known as Inter Miami, is due to appear in Major League Soccer (MLS) in 2020 along with two other expansion teams. Some 24 teams now compete in the league, compared to the ten when it first launched in 1994. Beckham previously played for Inter Milan’s biggest rivals, AC Milan. He also played in Major League Soccer (MLS) for soccer club LA Galaxy. The report says: “With IP posed to make an even bigger impact on the global economy in the 21st century, there is much work to be done to raise awareness about the practical implications of IP on commerce, culture and individual lives.” Among the reports key findings is that more people understand copyright than patents, meaning it may be better to ‘bundle’ the discussion of patents with copyrights, counterfeits and brands. Despite this greater understanding, 31 percent of those who purchased counterfeits said that it was acceptable to do so if no legal alternative was available. The report also found that there was a common perception that IP rights only benefit large corporations, which it said reflects “very low awareness of the fact that IP protections are often most beneficial to small- and medium-sized enterprises and individuals”. One area the report touched on was whether or not IP should be taught at higher education institutions, with surveyed teaching staff overwhelmingly saying yes (76 percent). The report concluded that both education level and age have a “pronounced effect” on an individual’s understanding of IP and suggested that if programmes can be designed to effectively reach young people about IP basics, those same resources can improve understanding among adults. Quarles & Brady hires four Quarles & Brady has added four patent attorneys to its intellectual property group. Kris Fredrick, Tambryn VanHeyningen, and Scott McBride will join the firm as partner, while Tolga Gulmen will join as of counsel. Trademarks • Latest News LinkedIn dominates sexual fetish site Social media platform LinkedIn has emerged victorious in a UK trademark dispute with a sexual fetishist site. The site, KinkedIn, attempted to register its name in class 45, covering dating services in 2017. LinkedIn opposed the registration, arguing that KinkedIn is “highly similar” and that it was registered in similar classes. LinkedIn’s trademark is registered in class 45. It argued that KinkedIn would lead to misrepresentation and would cause damage to its brand, adding “particularly if the services provided by the applicant are of an adult and sexual nature”. In its counterstatement, KinkedIn denied all of the grounds of LinkedIn’s opposition and denied that the marks aren’t similar. It also alleged that there is no similarity in the services offered, logo, or website. The UK Intellectual Property Office (UKIPO)’s examining officer found that bar the first letter of each term, both are entirely identical and the first syllable of each term, ‘Link’ and ‘Kink’ are ”aurally similar to a high degree”. The examiner found that the distinctiveness of LinkedIn’s mark has “not been enhanced in relation to the identical or similar services in class 45 but it is inherently distinctive to a medium degree”. However, the examiner noted that the marks are “conceptually different”. Despite this, the contested mark was refused on the grounds that it was similar in terms of aesthetic and services, adding that social introduction and networking services is a broad term and could cover KinkedIn’s offerings. UKIPO ordered KinkedIn’s owners, JK Solutions, to pay LinkedIn £1,200 in costs. WIPO launches free AI trademark search tool for brands The World Intellectual Property Organization (WIPO) has launched an artificial intelligence (AI) powered image search tool for brands. The search tool can determine trademark image similarity by identifying shapes and colours in trademarks. It utilises trademark data from the Madrid System, as well as from large trademark offices. The search tool currently covers national collections from 45 trademark offices, which covers a total number of almost 38 million trademarks. WIPO’s new search tool aims at providing narrower and more precise results for similar marks compared to previous tools. Patents • Latest News PTAB’s IBM patent ruling reversed by Court of Appeals A Patent Trial and Appeal Board (PTAB) ruling that considered an IBM patent to be invalid has been reversed by the US Court of Appeals for the Federal Circuit. IBM’s US patent (7,631,346) covered a method and system for a user account creation option through a single sign-on process. It covers technology that gives a user access to multiple applications “without regard to authentication barriers that protect each particular system supporting those applications”. However, the court of appeals vacated the decision related to the Sunada ruling, due to it resting on an incorrect claim construction on the federated computing environment limitation of all the claims at issue. The court remanded the Sunada ruling for further consideration under the correct construction. With relation to the PTAB’s Mellmer decision though, the court of appeals found that it featured the same claim construction error, but said “it does not affect our result”. The staff representatives also pointed out pending cases regarding staff representatives that they claimed were unduly targeted by the previous administration. These cases were said to be far from any semblance of an acceptable solution. Thirdly, the staff representatives said the voice of staff was still being ignored when it comes to excessive production pressure and its link to quality. They explained that their expressed concerns that excessive production leads to lower quality have been “derided and dismissed”. A recent publication by the Staff Union of the EPO (SUEPO) in Munich said that production pressures were equal to last year, and questioned how the office expects patent quality to increase. SUEPO said: “Newcomers face high production pressure and are on five-year contracts, which make it very difficult for them to settle down in Munich and have a family. In the meantime, the average retirement age drops below 60. How can the office expect to retain and keep high skilled works?” SUEPO also noted that despite claims of increasing social dialogue, SUEPO—which represents about half of the staff—is still excluded as a negotiation partner. USITC appoints SEC veteran as administrative law judge Judge Cameron Elliot has been made an administrative law judge at the US International Trade Commission (USITC). Elliot will be managing litigation with cases that most often involve allegations of patent and trademark infringement. Before joining the USITC, Elliot served in a similar role with the US Securities and Exchange Commission in Washington DC and the Social Security Administration in both New York and Newark. He has served as a US attorney for the Eastern District of New York in Brooklyn, and the Southern District of Florida in Miami. He was also a trial attorney on the Intellectual Property Staff in the Commercial Litigation Branch of the US Department of Justice’s Civil Division. B O STO N I M AY 1 5 -1 7 WELCOME TO THE REVOLUTION Be at the center of the largest IP celebration of the year. The IACCâ&#x20AC;&#x2122;s 40-year anniversary is in 2019, and special events will be held at the Spring Conference to commemorate this important milestone. SPONSORSHIP OPPORTUNITIES AVAILABLE! Visit www.iacc.org for more information. Google loses invalidation call on traffic information patent Google has lost a battle with an inventor after it called for invalidation of a patent related to a traffic information system. The search engine giant alleged that a US patent (6,233,518) assigned to Ji-Soo Lee was invalid in two of its claims (45 and 46) and filed an inter partes review petition. The Patent Trial and Appeal Board (PTAB) opted to review both claims, but only on one of the five grounds Google raised in its petition. In its final written decision, the board held that Google failed to establish that claims 45 and 46 are unpatentable. Upon appeal to the US Court of Appeals for the Federal Circuit, Google again was rebuffed after it affirmed the PTAB’s ruling. The Court of Appeals remanded the case back to the PTAB for it to consider whether claims 45 and 46 are unpatentable based on the four non instituted grounds raised by Google. The PTAB denied Yamaha’s challenge against the 965 patent in the first instance on all claims bar claim 20. It then reconsidered Yahama’s inter partes review, as it “overlooked material fact disputes created by competing expert testimony, which at the institution stage should have been viewed in a light most favourable to Yamaha rather than Club Car”. Club Car opposed Yamaha’s challenges and filed a statutory disclaimer under section 253 of the US Patent Act for claim 20 of the 965 patent. The PTAB ruled in favour of Club Car, stating that Yamaha hadn’t provided enough evidence to support its argument that nine of the patent’s claims were unpatentable. The 569 patent Like the 965 patent, the PTAB instigated Yamaha’s calls for a review in the first instance, but denied a review over certain claims. Yamaha called for a rehearing, which was granted. The PTAB said it had again overlooked material fact disputes and competing witness testimony related to the patent’s previous disclosure. On reconsideration, the PTAB ruled in favour of Club Car, holding that Yamaha had not shown sufficient evidence that claims 11 and 17 to 19 of the 569 patent are unpatentable. The 569 is now the subject of litigation in the US District Court for the Southern District of Georgia as Yamaha continues to argue that the patent is invalid. hroughout the course of his presidency, US president Donald Trumpâ&#x20AC;&#x2122;s two key stances appear to have been immigration and intellectual property. The Music Modernization Act, a new national cybersecurity strategy and a tough stance against IP theft in China have been some of the former reality TV stars key policies during a tumultuous time in office. One such policy gracing headlines over recent months is the renegotiation of the North American Free Trade Agreement (NAFTA), the US-Mexico-Canada Agreement (USMCA), has been touted as changing the face of America’s IP relationship with its neighbours. USMCA aims to bring Canadian and Mexican IP law in line with that in the US. For example, USMCA would bring in an extension of patent protection for pharmaceutical companies in Mexico and Canada to 10 years for biologics, bringing the term closer to the US’s 12-year protection. The agreement also expands the scope of products eligible for protection. Also required under the USMCA are adjustments to patent terms in both neighbouring nations, which in turn should remove unreasonable patent office delays. On top of this, trademark and copyright infringement cases will have to allow for statutory damages to be awarded if applicable and more robust trade secret protection laws are required. Under the USMCA, both Mexico and Canada have been instructed to tighten up their border controls to quell the number of counterfeits, as well as offer remedies to police units countering counterfeit activities. The deal was close to completing, but recent changes to Mexico’s government and prospective changes in Canada could throw a proverbial spanner in the works. But, regardless of any delays, how could the agreement affect US IP? innovation and Trump has been extremely forward-looking when it comes to trying to make the nation competitive in IP. But any effect on US workers will likely be indirect, and the same will go for workers in Canada and Mexico. Robert Duminiak, partner at Howson & Howson, remarks that most IP is held by the employers of US workers, not the workers themselves. He adds that those who do hold some form of stake or innovative contribution would see a more direct impact, but mentions that workers holding such stakes are “relatively few”. Gaston Kroub, partner at Kroub, Silbersher & Kolmykov, notes that content creators and workers who produce copyrighted materials could stand to benefit from the USMCA, as the neighbouring nations will be tightening their copyright laws. Backing this was Motion Picture Association of America chair and CEO Charles Rivkin, who applauded Trump’s efforts regarding the USMCA. Josh Gerben, founder of Gerben Law Firm, dubbed the USMCA “a modernisation effort”. He agreed that it does look to protect US business and called it “a positive development for US companies” but questions Trump’s comments on whether it would directly help US workers. Despite shared concerns, Gerben, Kroub and Duminiak all hope that at least some benefits will be enjoyed by the average US worker. Dealing with bad actors Another issue that Trump’s stance on IP has thrust into the limelight is Chinese-originating bad actors stealing US IP. Trump embarked on a trade war with the nation over the issue, slapping them with billions of dollars worth of tariffs. At the start of February, Trump met with Chinese vice premier Liu He to discuss the ongoing trade war and the improvement of IP protection in China. Despite his approach, Trump’s efforts have done little to pause the issue. Both Duminiak and Gerben remark that they have seen no significant changes regarding this. However, Duminiak conceded that Trump’s efforts regarding tariffs have “pressed the Chinese government to at least engage in meaningful talks”. The president heralded his cyber strategy last September, claiming it would stop Chinese thefts of US IP. The strategy specifically mentions China, claiming that it has been engaged in “cyber-enabled economic espionage and trillions of dollars of IP theft”. It says that those who steal US IP are “adversaries” attempting to undermine the US economy and “sow discord in our democratic processes”. Entities are also supposedly subsidised by the Chinese government to steal IP and, according to Gerben, file fraudulent trademarks in order to intentionally jam up the US trademark system. Figures shared by Gerben show that around 10 percent of all trademark filings in the US over the last few years have come from Chinese-based entities, a “massive number”. He says: “The concern is that they are flooding our trademark system and sometimes they are obtaining trademarks for things that they are not even selling in the US.” Chinese individuals can obtain $1,200 to $1,500 from the Chinese government for registering a US trademark, despite it only costing $200 to $300 to file the application. China’s behaviour may affect it on a higher macro level in terms of trade with the US, but any broader trade deal should include penalties for any theft of US IP, according to Gerben. He said, although very unlikely, this would “bring some teeth to US protection”. He adds that these thieves are “making out like bandits, they’re getting what they want and just getting a slap on the wrist”. Trump’s team is currently in talks with China, but it seems that such a complex issue may require a bit more than just one or two meetings. Any deal needs to also address the forced transfer of technologies, which ultimately benefits Chinese entities planning on infringing. Until a deal containing those provisions is reached, Kroub refers to the US’ efforts to rein in Chinese IP theft as a “work in progress”. Trump is due to meet with Chinese president Xi Jinping to discuss IP protections and a possible end to the tariffs. After meeting with Chinese vice premier Liu He earlier this year, he tweeted that the meetings are “going well with good intent and spirit on both sides”. But despite Trump’s claims of good intent, Kroub offers some scepticism in relation to whether a deal is actually imminent and questions whether China’s mass overhaul its domestic IP framework is “truly focused” on ending theft of US IP, as opposed to better positioning Chinese companies to compete globally. With all this emphasis on international agreement, there are still many things left unanswered at home. Additional judicial resources to address IP disputes, as well as extra resources for the US International Trade Commission, are in serious need warns Kroub, especially when the US IP scene is continuing to pick up the pieces following the introduction of the American Invents Act and the decision in Alice v CLS Bank. Kroub expressed a dire need for there to be a publicprivate partnership that is “realistic about addressing IP infringement in the US, by offering various mechanisms to US IP owners to deal with that infringement in a costeffective and timely way”. A lot may need to change for the US’ IP system to remain the best in the world, but with the prospective implementation of the USMCA and China now firmly seated at the table, the road ahead seems clear. US District Courts • Analysis For example, the decision in TC Heartland has meant that the Eastern District of Texas has seen a significant drop in filings and has a far lower number of injunctions granted than district courts in Delaware or Northern California. The statistics may not be out yet, but both Ossola and McGraw expect the district to maintain its fast docketing speeds and continue to be “one of, if not the, fastest dockets in the country”. The report stated that TC Heartland has “continued to cause notable increases in litigation for certain districts that have historically been less popular”. The report greatly focused on the Eastern District of Texas, the District of Delaware, and the Northern District of California and may have revealed some interesting observations, but what about other districts? The rule From January 1994 to December 2014, US district courts have seen an average of 9,167 IP cases filed every year. The Eastern District of Virginia was expected to see an uptick in cases last year following TC Heartland, as it was seen as a venue with fast trial times and a close proximity to the nation’s capital. The district is also attractive for IP cases due to its quick rulings on pre-trial motions, its experienced bench for such cases and its well-educated jury pool. However, patent filings in 2018, like the rest of the nation, were down, with Alice, AIA, and stricter venue requirements likely taking its toll. Another popular IP venue in the district court scene is the District Court for the Middle District of Florida. In a nation facing declining patent case numbers, the Middle District of Florida stands tall in relation to its patent favourability. It is so renowned for its patent favourability that is ranked as a top patentee favourable jurisdiction. But it is not just patents that are favoured in this district. Equally compelling are its open arms to trademark and copyright cases, particularly from an owner’s perspective. The judges here adopt a no-nonsense approach to case management and aggressively manage their cases so none are lingering around for years without action. Alejandro Fernandez, a Brinks Gilson & Lione shareholder referred to the judges in this district as being “as expeditious as they are well prepared and experienced”. Despite the decline in patent cases, overall IP filings here have remained fairly constant over recent years and the court has maintained its rocket speed for its docket. Despite missing the speed that can be found in Eastern Virginia, Fernandez says the cases in Florida’s Middle District “really move with alacrity”. Charles Ossola and Wendy McGraw from Hunton Andrews Kurth explain that the cases in this district court are challenging given their sizes, but express that they are worthy of the investment required. In terms of juries in this district, they tend to be made up of retirees with both military and law enforcement backgrounds, with Fernandez describing them as “serious and thoughtful”. What’s on at INTA’s Annual Meeting? Ben Wodecki, reporter: CSA20 Character Wars: Trademarks v Copyright Protection for Fictional Characters Saturday, 18 May 12:00pm—1:15pm With big budget movie ‘universes’ now the norm in cinema, protection of individual recurring characters is more important than ever. This session could be vital for attorneys seeking information on how to help their clients protect and enforce these valuable assets. It will offer insights into the differences in protection across China, Europe, and the US. CSU23 Gen Z Insights: Brands and Counterfeit Products Sunday, 19 May 2:45pm—4:00pm By 2020, Generation Z will account for 40 percent of all consumers in the US. Therefore, their attitudes towards illicit goods will be essential in furthering the fight against counterfeit goods. This session will provide brand specialists with expert analysis on industry’s newest batch of consumers. CT02 Reality Check: Adapting Brand Strategies for AR and VR Tuesday, 21 May 10:15am—11:30am With brands looking to new technologies to reach prospective consumers, this session offers an insight into the hot up and coming technologies that are virtual and augmented reality. The session will look at why some traditional marks may be ineffective in new technological avenues, and discusses parody, infringement, and dilution, as well as the using AR and VR as branding tools. As mediation becomes more prevalent in intellectual property disputes, this session could offer a much needed insight into the process for attorneys looking to mediation over litigation. Unique to this session is a psychologist, who will provide analysis on body language, mood, and tone of the participants to demonstrate how they can impact mediation. All this could prove to be an interesting spectacle that will no doubt leave attorneys with a better understanding of how to advise clients and develop a mediation strategy. It may be a tired old subject at this point, but Brexit remains the biggest disruptor to the UK trademark business in the visible future. This session promises to give a “clearer view” of the likely outcomes and hopefully, by May, the picture of the UK’s future relationship with the EU will be much less foggy. Whether you care about Brexit or not, practical advice from a number of practitioners in a variety of jurisdictions will accent previous recurring Brexit topics and hopefully provide a fresh outlook on the British constitutional crisis. Justin Lawson, publisher: CSU55 The Future of IP Law Firms in the Digital Age Sunday, 20 May 2:30pm—3:45pm As a publishing house, technology has disrupted us in many ways. Over the past decade, the rise of the internet has changed the way media is made and disseminated. For lawyers, much of the technological change that will disrupt the industry is happening right now. This session will show how the digital age is affecting IP law practice and how its evolution will change the business landscape. Boston has its deep-rooted history in the heart of US independence. You’re not going to be at the conference the whole time, so why not check out this historical landmark? We’ve got you covered: Boston Harbor Cruises Take to the water to visit the feeding grounds for whales, dolphins, seabirds and other marine creatures. You’ll be able to see majestic sea creatures like humpbacks, finbacks, minkes, in their natural habitat. Plus you may catch a glimpse of the critically endangered right whales! Boston Tea Party Ships and Museum See where the Boston Tea Party took place, and board fully restored 18th century sailing vessels. The John F. Kennedy Museum Visit a museum dedicated to one of the most famous US presidents, where you can learn all about his life through intriguing interactive galleries. Atlantic Fish Company Local American seafood? What more could you ask for in Boston? This place is great for both tourists and business meetings. We’d recommend the bacon-wrapped scallops. Atlantic Fish Company offers over 220 different types of wine— perfect to pair with any fish they offer. 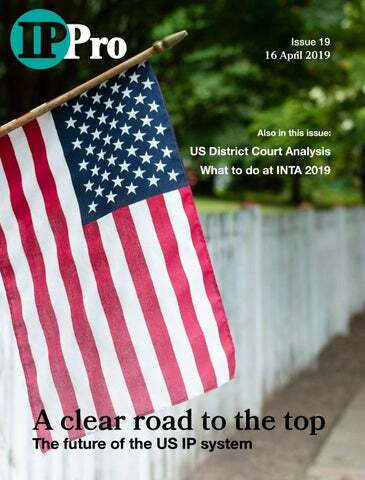 Look out for the IPPro team at INTA’s 2019 Annual Meeting in Boston. We look forward to seeing you there! Register Today* INTA members save 30%! *INTA members may pre-register for the 2020 Annual Meeting until May 22 after registering for the 2019 Annual Meeting. Save an additional 10%! Visit inta.org for more information.